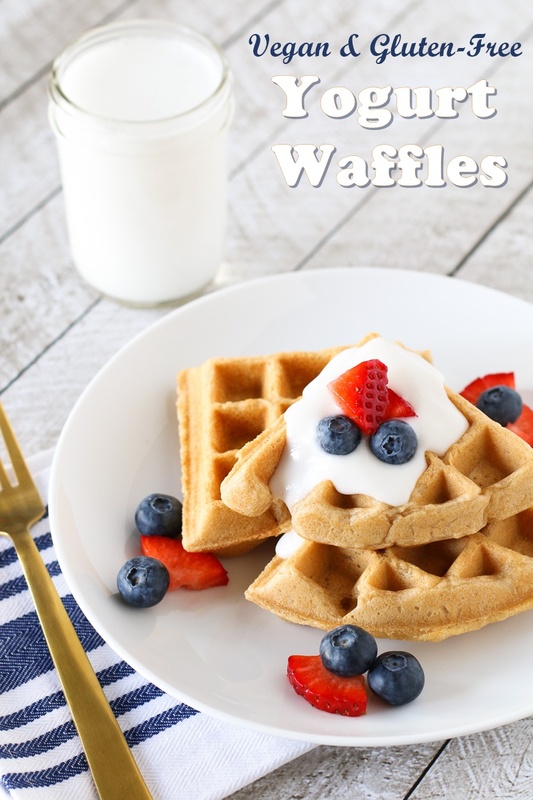 Gluten Free Vegan Yogurt Waffles Recipe for Breakfast, Lunch or Dinner! 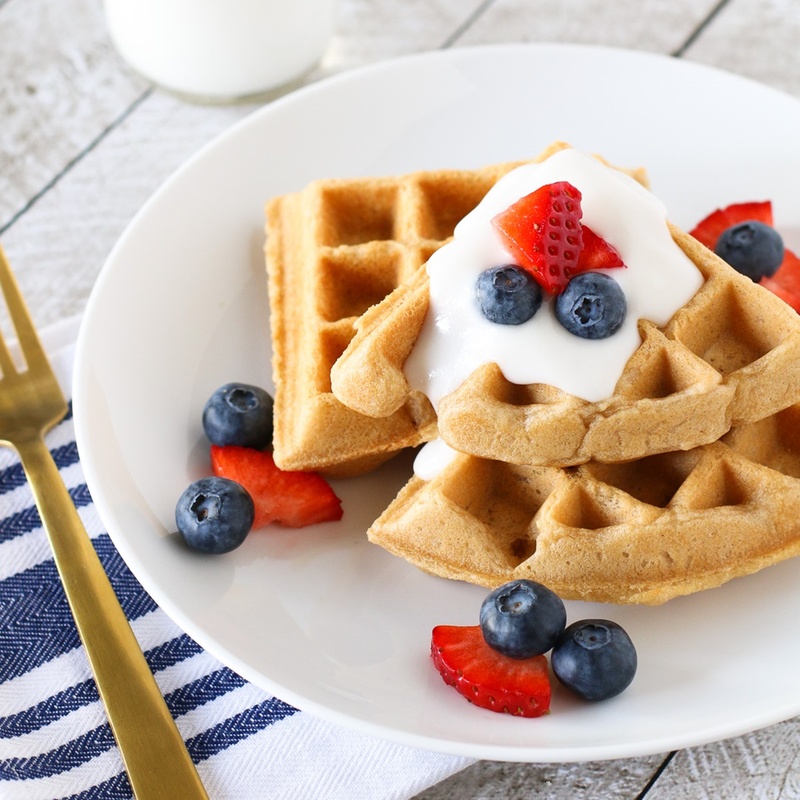 This recipe for gluten free vegan yogurt waffles is a wonderful breakfast created by baking extraordinaire Sarah for our upcoming dairy-free menu plan for this year’s 21 Day Dairy-Free Challenge sponsored by So Delicious. The Challenge will run from January 23rd to February 12th, but you can still sign up for some great goodies. 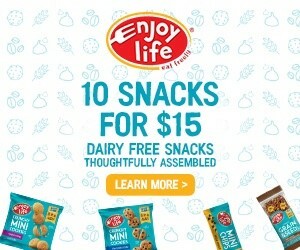 They’ll send you new coupons, dairy-free tips, a shopping list, snack guide, and more! 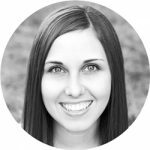 Sarah is the baker and blogger over at Sarah Bakes Gluten Free. 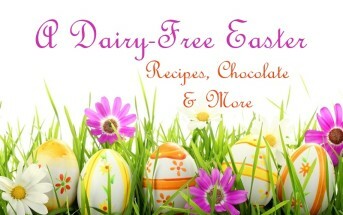 Her recipes are always gluten, egg and dairy free, but they’re never free-from flavor. 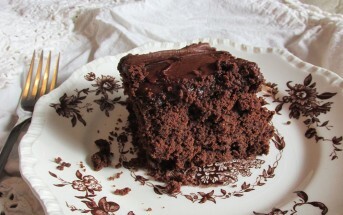 Sarah finds great joy in making gluten free baking approachable and delicious! She’s well known for her beautiful photography and creating everyday recipes that really do work. 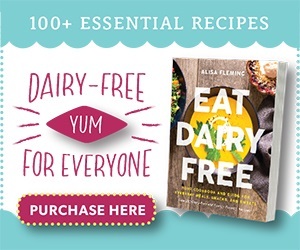 In fact, she has been a consistent prize-winner in several Go Dairy Free recipe contests, despite the fact that several of our judges aren’t gluten-free or vegan! Breakfast, lunch or dinner. It’s always a good time for homemade waffles! These gluten free vegan yogurt waffles are crisp on the outside and chewy on the inside. Waffles are always the request in our house. They get gobbled up just about as fast as I can make them. Some like them with peanut butter, some prefer just a little dairy free butter and pure maple syrup. I like them covered in fresh berries, and in this case, with maple yogurt, too. 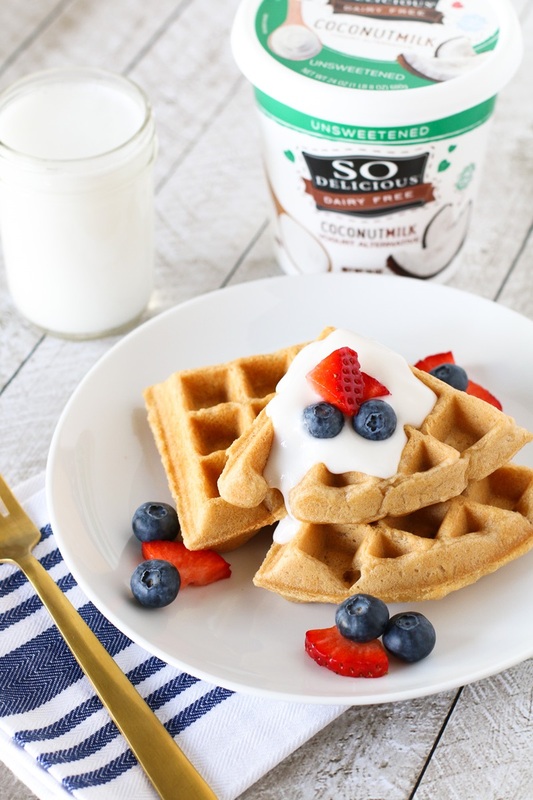 To make these yogurt waffles dairy free, I used both So Delicious Dairy Free unsweetened coconut milk beverage, as well as the So Delicious Dairy Free unsweetened coconut milk yogurt. The yogurt helps to create a great texture. Crispy, yet soft and chewy. To top these waffles, I made a maple yogurt with just a little unsweetened yogurt with pure maple syrup. 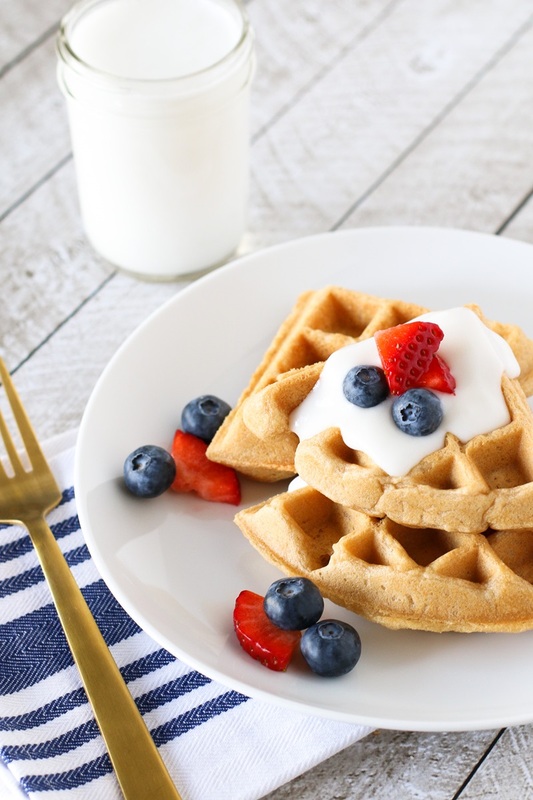 So creamy and the perfect compliment to these gluten free vegan yogurt waffles! To make the gluten free vegan yogurt waffles, preheat your waffle maker, setting it to medium-high heat. Whisk together the flour, coconut sugar, baking powder and salt. Add the coconut milk, yogurt, oil, and vanilla, and stir until just combined. Spray your preheated waffle iron with cooking spray. Pour the batter into center of your waffle maker (amount varies by iron). Close the waffle maker and cook until the waffles are crispy and golden brown, about 3 to 5 minutes. Repeat with the remaining batter. To make the maple yogurt topping, whisk together the yogurt and maple syrup. Top the waffles with the maple yogurt and fresh fruit. Pingback: Easy Weekday Plant-Based Meal Plan + Printable Shopping List! Those looks so puffy! Yum. I love topping my waffles off with yoghurt because it isn’t too sweet and adds the creaminess I dream of from whip cream, but keeps it healthier. I LOVE Sarah’s creations.I am always on the look out for vegan waffle perfection. These look like they could be it! If you haven’t tried Sarah’s soft peanut butter cookies, I highly recommend you do. Oh my! I just bought this yogurt yesterday to try baking with. I’m going to give this recipe a try. It looks delicious!! Sarah does have the prettiest GF recipes around! 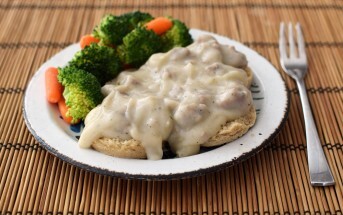 Thanks for sharing another delicious recipe. I love So Delicious yogurts!! These are also really great for baking and these waffles! These waffles look scrumptious. I love how easy they are to make! It’s a rainy day in LA today, and I could sure go for a plate of these right now. That would bring the sun out for me! Best waffles ever! I cannot wait to try them out! The topping is so easy to make! That is by far my favorite part! Love a good waffle and filling all those little squares. Last fall we bought a replacement waffle maker after our broke months prior. Yet we haven’t used it nearly as much as I have hoped. 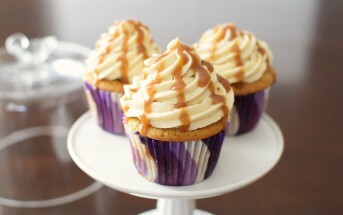 I think I need to make time this weekend to make these! Especially since I picked up “the wrong” So Delicious Coconut Milk Yogurt tub and not the one my oldest daughter loves and I have 2 to use up now. These waffles are beautiful and I love that they are allergy friendly for everyone!!! Just have to pop in to say that those look amazing! What a stunning photo!